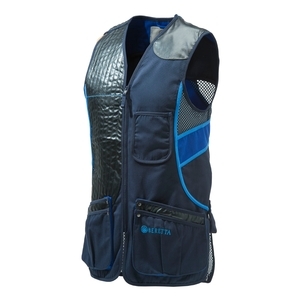 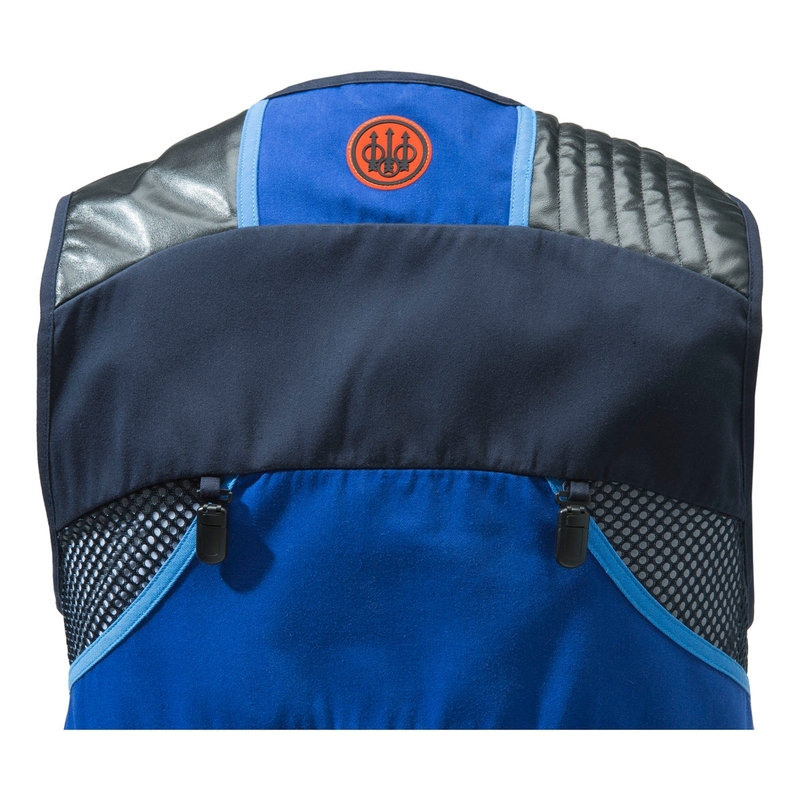 Beretta Sporting Vest - R/H. 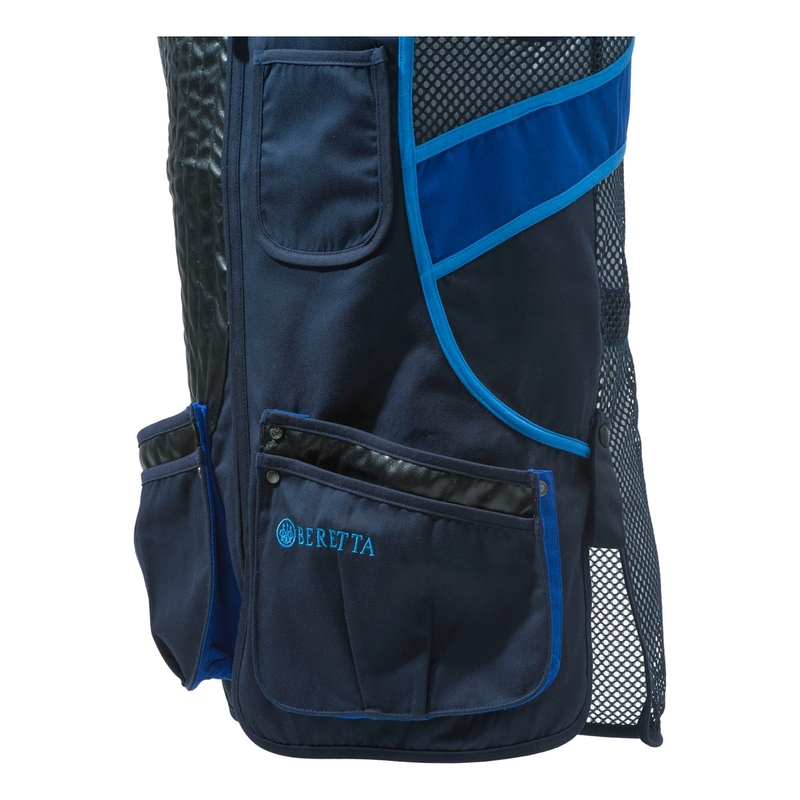 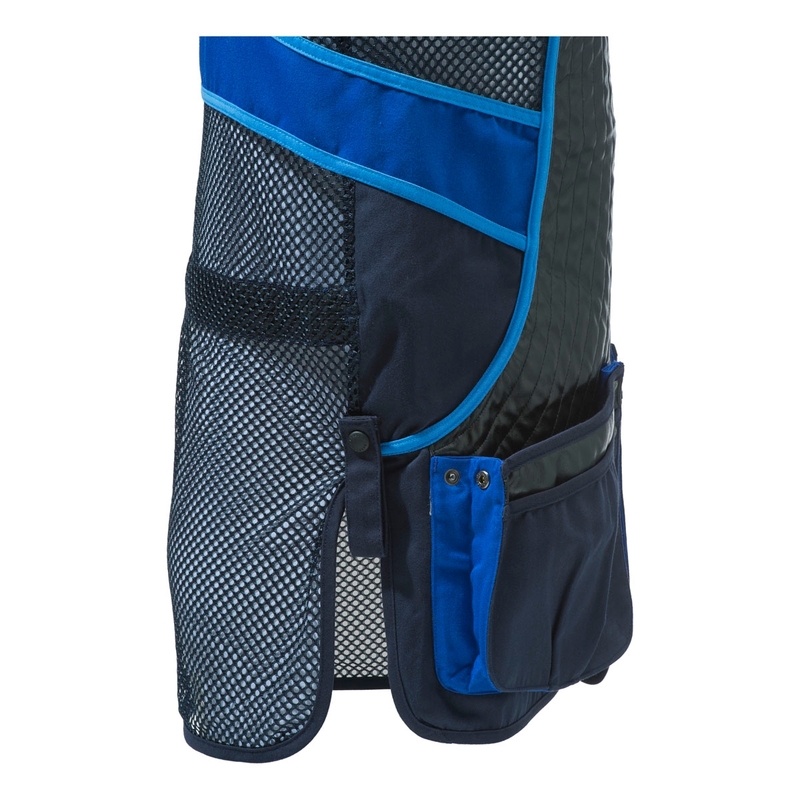 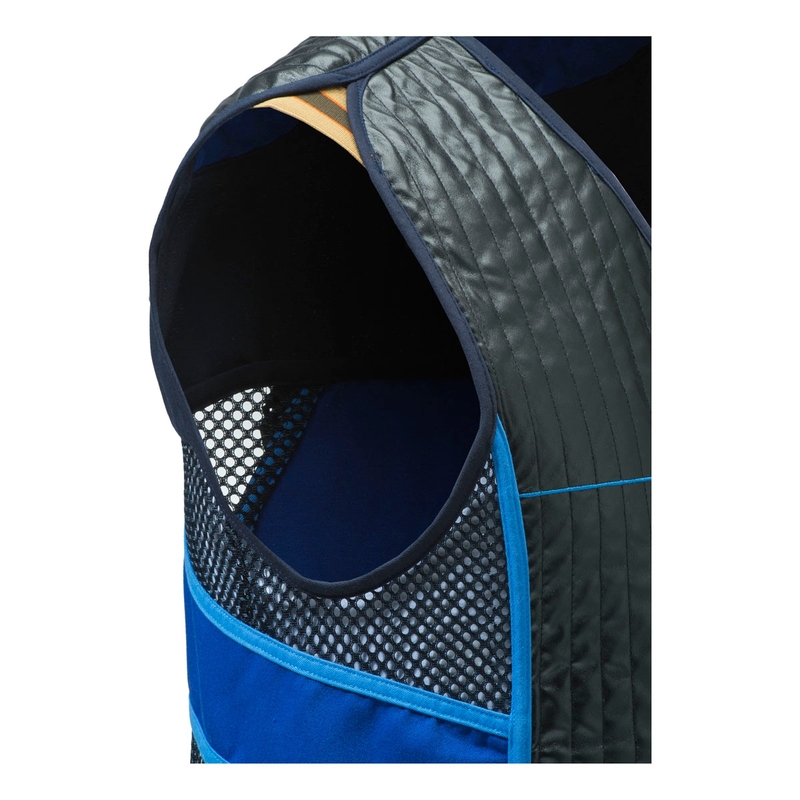 Sporting vest in cotton and mesh with eco-leather shooting patch and roomy double entrance front cartridge pockets. 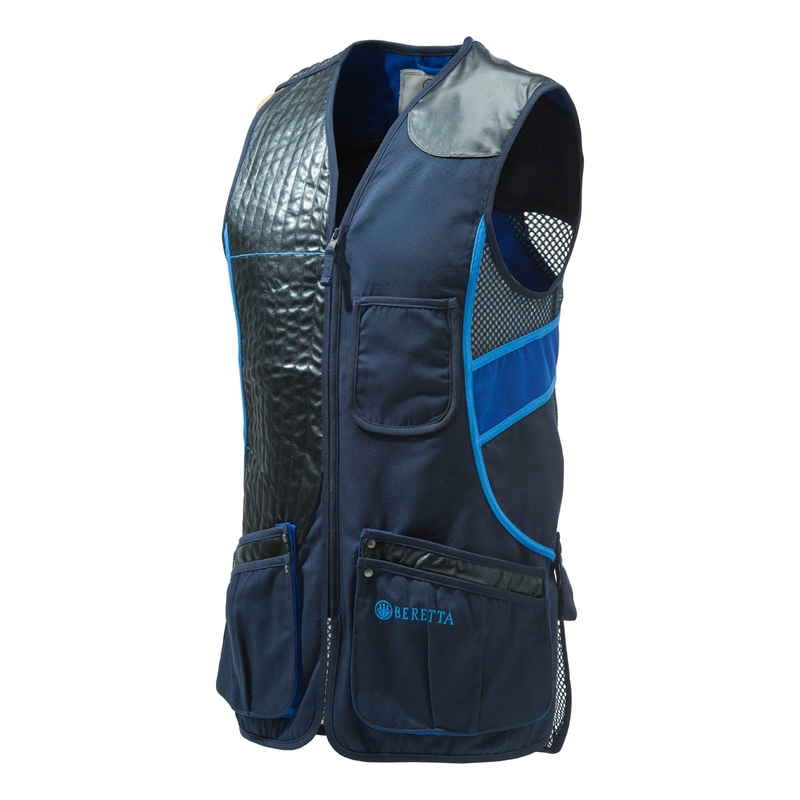 This vest is the evolution of the famous Beretta Gold vest, with renewed design and updated technical features and materials. 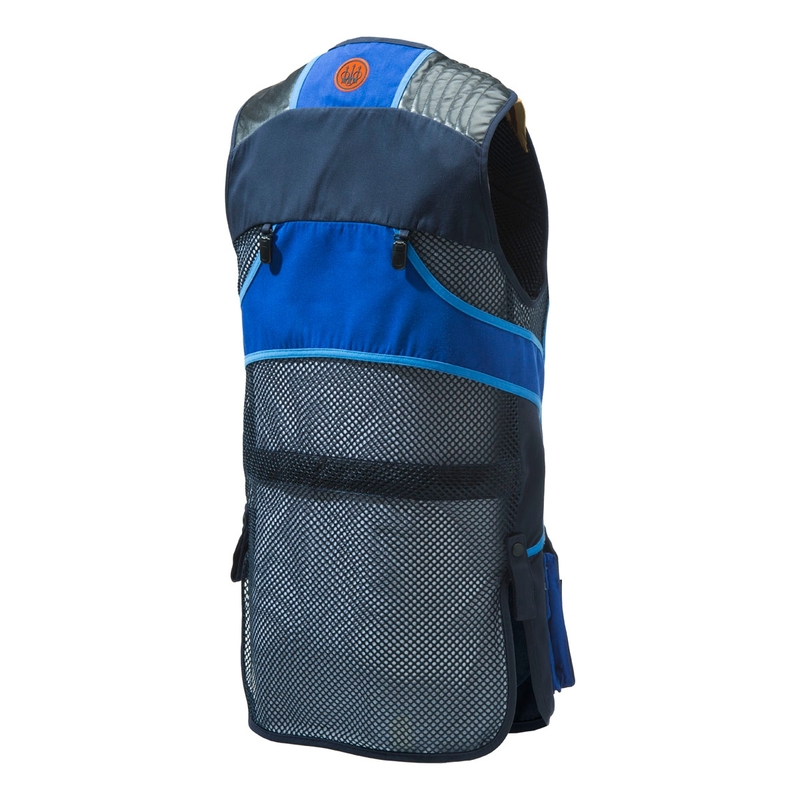 Previous customers report this vest to be a very small fit, and recommend going up 2 sizes.